Our ability to fight against illness can be affected by a multitude of factors including our general health, our age, activity levels, sleep patterns and also our diet. Diet is a factor that we are able to have control over to help boost our immunity. Focusing on the essential nutrients directly involved in maintaining a healthy immune system and making sure that our body is fueled efficiently can help to reduce our risks of illness or fight off those unwanted bugs. Vitamin C is famous for it’s role in improving the immune function as it is an antioxidant that helps to stimulate our immune response by forming antibodies. People often rely on vitamin C supplements at this time of the year, however it’s likely to be much more effective if you are getting your vitamin C from a range of different fruits, vegetables and other foods as these will also contain other beneficial nutrients such as fibre. 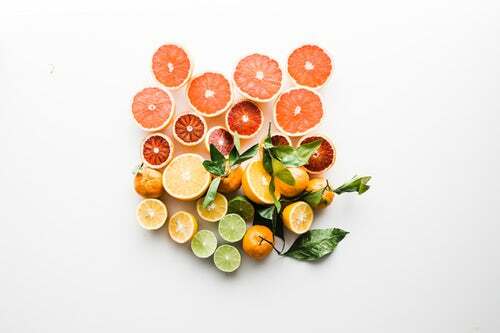 Grapefruit, oranges, lemons, peppers and green vegetables are great sources of vitamin C, so it’s even more important to be packing your 5-a-day! That said, if you are struggling to get in enough vitamin C, a supplement may be an option as it has been shown that a 1000mg does per day may make colds milder and shorten them by half a day. Please seek personalised advice though as vitamin C supplementation may affect the metabolism of your medication including the pill. Next up… Protein, it’s not only vital for building our body, but it’s also needed for repairing and therefore plays a key role in our immune system. Focus on packing in high quality sources of protein. Be aware, in some intolerant individuals, dairy based foods can sometimes aggravate mucus production and therefore may worsen cold symptoms, so this may be worth monitoring if you are coming down with something. Vitamin A is another vital micronutrient for maintaining healthy skin and tissues, which act as barriers to infection. Vitamin A rich foods include sweet potatoes, carrots, kale, spinach, red bell peppers, apricots, eggs or fortified foods such as milk and cereal. Vitamin E is another antioxidant that works as our body’s defence mechanism, they do this by neutralising free radicals. Try incorporating foods such as almonds, vegetable oils, hazelnuts and peanut butter into your meals to make sure you are getting ample vitamin E.
Zinc (the micronutrient which is often forgotten about) it’s found in seafood, lean meats, milk and poultry and can also help to support the immune system. People on a vegan or vegetarian diet may struggle to obtain enough zinc. Therefore focus on eating fortified foods as well as good quality wholegrains. I’m sure you’re not surprised that Vitamin D should also be focused on, as lack of sunlight in the winter months means that many people are at risk of deficiency. Vitamin D plays a huge role in an efficient immune system. Last year it was advised by public health England that we should be taking a vitamin D supplement in order to get 10 micrograms daily as the majority of the UK were deficient at this time of year. This post wouldn’t be complete without discussing gut health… Recent research has shown the link between gut health and immunity. As colds and flu begin to linger at this time of year, our use of antibiotics increases, meaning that out gut microbiome becomes less diverse and therefore less efficient. Consuming pre and probiotics can help to nurture our gut microbiome and help give it a fighting chance against the harmful bacteria. Probiotics are foods that contain live bacteria, such as live yoghurts, Keffir and fermented foods like kimchi and Kombucha. The bacteria in these foods reach your gut and enhance the diversity within your microbiome. When we’re unwell our body has to work even harder to support itself meaning it’s even more essential we look after it. Below I’ve listed out an example day of food to fight the fever. Homemade stir fry made with ginger, chilli, garlic and coriander. Bulk out with plenty of fresh probiotics veggies such as asparagus, onions and shredded cabbage. Finish with lots of lime juice, mixed seeds and ensure that you are include a healthy source of protein such as lean beef, chicken breast, prawns or tofu. Enjoy and don’t forget to be that extra bit kinder to yourself during the winter months!